Create awesome videos automatically with added control and full customization! Chapters, Anchoring, Music, Cinematic Titles, Photo Enhancements – all included! 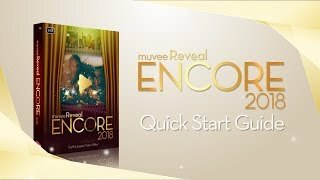 muvee Reveal Encore uses an advanced face-detection and motion-sensing algorithm perfected through years of research to crop and edit multiple photos and videos within minutes. It even selects and adds suitable effects and music! This is the award-winning automatic video editing product that over 1 million users are raving about. Craft beautiful movies quickly, then easily personalize them using powerful features like Chapters, Anchoring, Music Recommendation, Cinematic Trailer Titles, Photo Enhancements, magicMoments and magicSpot!